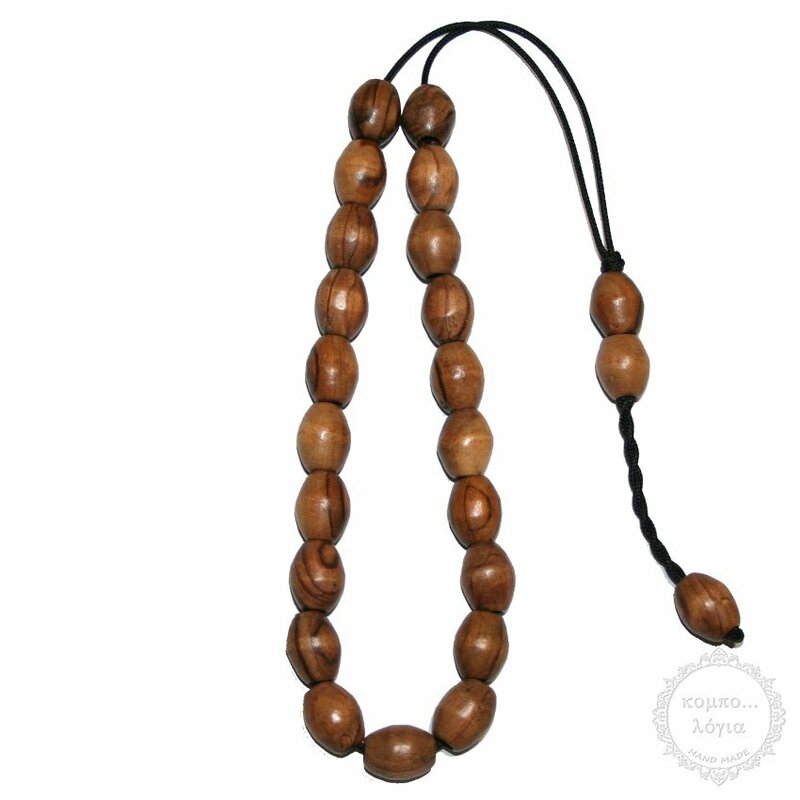 Olive Wood handmade komboloi created with 21+3 natural Olive Wood beads in oval shape of 12x15mm diameter, 34cm total length, and 25g total weight. Traditional design with strong cord for everyday use. It comes with a free gift vintage pouch. The beads are made of Original Olive Wood from Bethlehem. The beads save the warmth of the hands and the smell of wood. Centuries old, theses trees are no longer productive but have strengthen tremendously over the decades. It can be the best present from Holy Land!